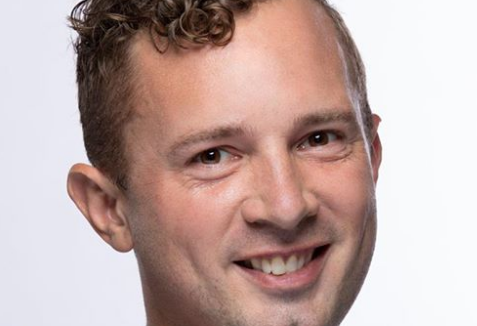 SALT LAKE CITY, UT–Ballet West is pleased to announce the promotion of Jared Oaks to Music Director. Oaks was hired by Artistic Director Adam Sklute as rehearsal pianist almost 11 years ago and soon after began as Ballet West’s principal rehearsal pianist and assistant conductor to the company’s then-longtime and beloved Music Director Maestro Terence Kern, who helped hone Oaks’ talent and skills. A high-caliber conductor is a necessity for the Ballet West Orchestra, a professional ensemble of 60 musicians charged with performing a diverse repertoire ranging from early music to the classics and new commissions. Jared received his bachelor’s degree in piano performance from Brigham Young University. He was hired by Ballet West while still working toward his master’s degree in choral conducting, which he received in 2009. Jared has conducted at The John F. Kennedy Center for the Performing Arts, Chicago’s Auditorium Theatre, the Wortham Theater in Houston, and the Northrop Auditorium in Minneapolis, among others. In addition to his busy conducting schedule, Jared is a sought-after ballet and collaborative pianist. Jared is also an active composer, and his first ballet, In Memoriam, scored for four violins and piano, premiered in 2016 at Ballet West. An avid researcher, Jared is a fellow of the American-Scandinavian Foundation and co-founder of the music publication and research nonprofit, Composer Discovery Initiative. Oaks will officially take the baton as full-time Music Director for Ballet West’s 55th season opener, George Balanchine’s Jewels, November 2-10.